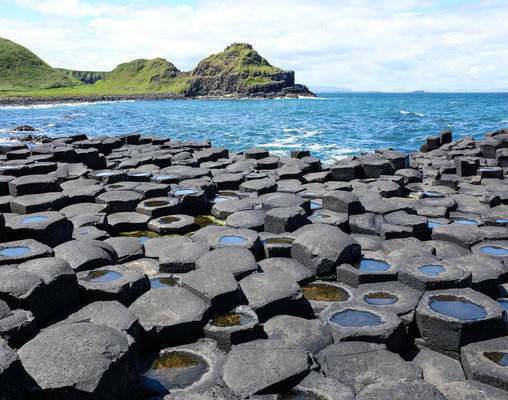 This tour also takes in Ireland's most famous attractions such as The Cliffs of Moher, Blarney Castle, The Ring of Kerry, Bunratty Castle, The Giant's Causeway and Galway Bay on the wild Atlantic Coast. Visit Cork and Blarney Castle, and Cobh near Cork City, the ships last port of call. We include Belfast where she was built, we explore Clifden in Connemara, where Jack Phillips, the Titanic's wireless operator worked for Marconi before the fatal voyage. 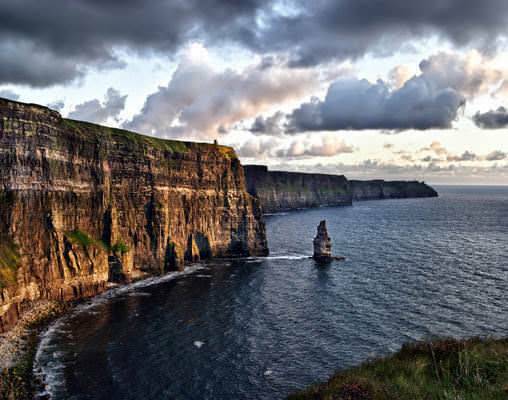 This tour also takes in Ireland's most famous attractions such as The Cliffs of Moher, Blarney Castle, The Ring of Kerry, Bunratty Castle, The Giant's Causeway and Galway Bay on the wild Atlantic Coast. Check-in for 07:00 departure from Dublin Heuston, opened in 1844 as the headquarters of the Great Southern & Western Railway and is now the official principal station of Iarnród Éireann, Ireland's national railway company. As your train departs, we travel in a south westerly direction, through Dublin's western suburbs and then through the lush fertile countryside of Co. Kildare. Our journey takes us through the Curragh which is famous for its racecourse, home of the Irish Derby, and there are many stud farms in the vicinity. The final approach to Cork station is through Ireland's longest railway tunnel, which is a rather modest 1.2km. 09:35 Arrive into Cork Kent Station, we transfer to our tour coach through Cork City to Blarney Village and historic Blarney Castle, built in 1446 by Dermot Mc Carthy. You will have time to kiss the famous stone, which is said to bestow the gift of eternal eloquence on those lucky enough to do so. There is also time for shopping and lunch at Blarney and we recommend that you have lunch there, as this will be the only opportunity during the day to have a substantial meal. 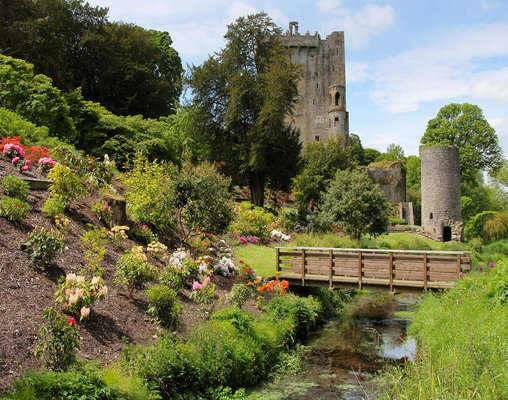 Depart Blarney Castle for Cóbh via the city centre and a short city tour. 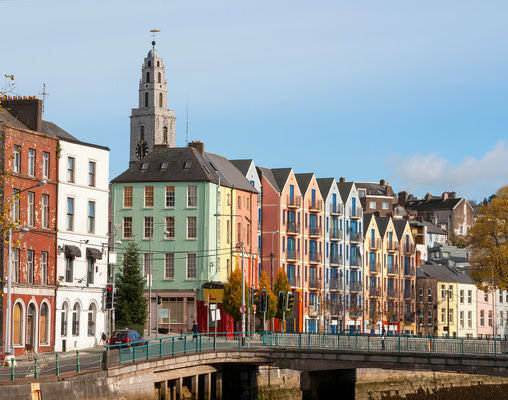 Cork’s population is approximately 150,000 (Ireland’s 3rd largest city after Dublin and Belfast) and is the only city centre in Ireland that actually stands on an island, the River Lee divides and rejoins and either end of the city centre. It is also home to Murphy’s and Beamish, the Southern Capital’s rival to Guinness. On arrival at Cóbh we will visit St Colman’s Cathedral. We will then proceed down along the sea front passing the former White Star Line offices en route to the beautifully restored Victorian railway station/transatlantic terminal. This is now the Cóbh Heritage Centre, home to the Queenstown Story. When Queen Victoria visited Ireland in 1849 she came to Cóbh and the town was renamed Queenstown in her honour –it was renamed Cóbh after Irish independence in 1922. Cóbh was of course the final port of call of the RMS Titanic and this theme is well expounded. The centre also houses much information about the Great Famine and subsequent Irish Emigration. Three million Irish people emigrated from Cóbh, (principally to the United States) including Annie Moore, whose statue is located in front of the heritage centre. The Lusitania was torpedoed off the coast of Cork – marking the United States’ entry to the First World War and the small number of survivors were brought to Cóbh for refuge. Cóbh is also the headquarters of the Irish Navy and you will most likely see some navy ships. You will be collected from your accommodation at 09:45 (or as directed by our Killarney representative) for your Ring of Kerry tour. There are plenty of stops along the Ring of Kerry for morning tea, lunch and photo stops etc. Ireland’s highest mountains are located in Kerry and Carrauntouhil, which can be seen en route. It is the highest, standing at 1041 meters. We will make a stop at the Kerry Bog Village Museum, which gives people an insight into how people lived and worked in rural Ireland in the 18th century. The village is the only one of its kind in Europe. Later on the approach to Waterville there are views (weather permitting) of the Skellig Rocks (islands), where Star Wars 'The Force Awakens' was recently filmed. We will make several photo stops, a stop for lunch and one final stop at the pretty village of Sneem, for about 30 minutes, or as directed by your tour leader. Depart Killarney by road to Limerick to join the Bunratty Castle and Cliffs of Moher Tour. Arrive into Limerick where we will join our tour coach. Limerick has a population of about 90,000 and its city charter was granted in 1197AD, making it older than London! As we cross the river Shannon which is Ireland’s longest river you will see views of King John’s Castle to the right. The castle was completed in 1200 and marks the origins of the city. Limerick’s most famous author, Frank Mc Court, grew up here and was the setting for his book, ‘Angela’s Ashes’. Limerick is also the birthplace of celebrated BBC radio DJ, Terry Wogan and Hollywood star, Richard Harris. We will pass the GAA grounds of Páirc na nGael –the home ground of County Limerick’s Hurling and Gaelic Football teams. Limerick is also the home of Irish Rubgy and we will pass Thomond Park, the Rugby stadium. After a brief city tour we travel onto Bunratty Castle and Folk Park. The castle was completed in 1425 and, after many years of neglect, has been restored to its former glory. There is also a folk park here which you will have time to explore. After the visit to Bunratty Castle and Folk park we make our way to Co. Clare. There is a lunch stop at O’ Connor’s Pub in Doolin before arriving at the Cliffs of Moher, among the highest sea cliffs in Europe. There is plenty of time to visit Ireland’s second most popular tourist attraction and your host will advise you of the departure time. From here we take the coast road for much of the way to Galway, with time for photos along The Burren. This is a national park and the word Burren comes from the Irish Language, it means ‘rocky place’. It is a unique lunar landscape of limestone which was described in 1649 by one of Oliver Cromwell’s men as: “No tree to hang a man, no water deep enough to drown him and no soil deep enough to bury him”. Today the Burren is noted for its diverse Flora with few parallels elsewhere in Ireland or indeed, Europe. We continue along the coast road to Black Head, passing the quaint coastal villages of Ballyvaughan and Kinvara before joining the main road to Galway. Depart Galway City for transfer to Inis Mór, the largest of the three Aran Islands. Irish is the spoken language on the Aran Islands although the locals will be more than happy to speak to you in English. For many, the highlight of the tour is the formidable pre-Christian fort of Dún Aonghusa, with spectacular sea-cliffs on the western side and unspoilt views of the Atlantic Ocean. Transfer times may vary seasonally. Depart from Galway Train Station and our conducted tour of Connemara leaves Galway to the village of Moycullen. From Moycullen the road rises and falls towards the lovely village of Oughterard on the shores of Lough Corrib, traditionally regarded as Ireland’s premier angling centre. Now the gateway to Connemara opens, and the breathtaking colours of this unspoilt countryside are revealed in all their natural splendour. At Maam Cross, the Connemara "crossroads", there is a replica of the cottage used in the 1950's John Wayne and Maureen O'Hara film "The Quiet Man", which was filmed here. From Maam Cross our tour heads out to Leenane, Kylemore Abbey and Letterfrack, in the shadow of purple mountains rolling down to blue and green rocky valleys, reflecting the rich and varied colours of Connemara. 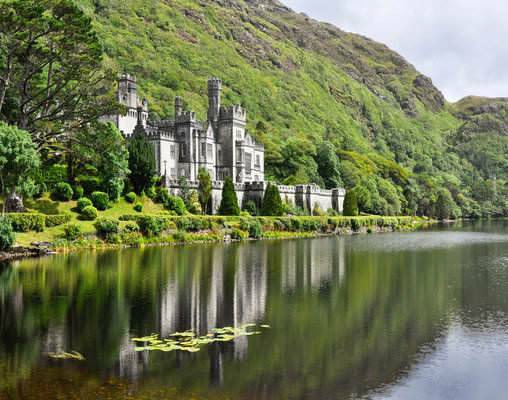 There is a lunch break at Kylemore Abbey and Gardens, an 18th century castle now owned by the Benedictine nuns who run an excellent pottery, gift shop and restaurant here. Letterfrack is one of Ireland’s major national parks. The colourful town of Clifden has been one of Irelands leading holiday resorts for generations. It is an excellent touring centre beloved by the walker, the biker, the hiker or the fisherman. It was here too, at Derrygimlagh Bog, near Clifden that aviation history was made when Alcock and Brown crash landed after their historic transatlantic flight in 1919. 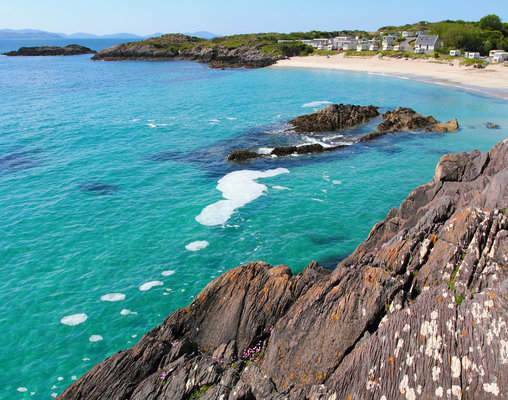 Depart Clifden for morning tour of the Sky Road, Coral Beach - spectacular coastal scenery. We visit Derrygimlagh Bog, the site of the Marconi transmitting station where Jack Phillips worked as a wireless operator. He left in 1911 and joined the Titanic, and went down with the ship as he sent the final distress messages. This also is the site where Alcock and Brown landed in 1919 after the first ever non-stop transatlantic flight. We return to Kylemore for our lunch stop (not included). 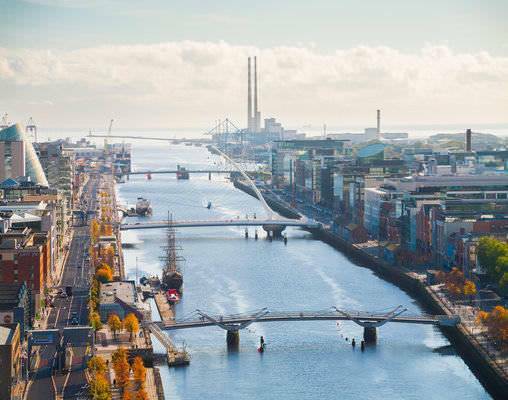 This Hop On-Hop Off tour will take you to Dublin's most famous attractions including The Guinness Brewery, Trinity College which houses the Book of Kells, Kilmainham Jail, and Christchurch and St. Patrick's Cathedrals, plus lots lots more. Leaving Belfast we proceed to the town of Carrickfergus for a short photo-stop and take the coast road north from here. Further north we arrive at the fishing village of Carnlough, where we stop for about 15 minutes. We continue on passing the coastal villages of Glenariff, Cushendall and Cushendun. There are stunning views of the sea to the right and the mountains or the Glens of Antrim to the left. Most impressive are the spectacular views of Mull of Kintyre, Scotland which are clearly visible on a fine day. Moving inland, we come to the town of Ballycastle, home to Ireland’s oldest town fair. The Laamas fair dates from 1606 and takes place over the August bank holiday weekend every year. Our next stop is the famous Carrick-a-Rede Rope Bridge. We then head for Dunluce Castle for a photo stop before arriving at the Giant’s Causeway, where we stop for about 2 hours. Return to Belfast City Centre for your overnight in Belfast City. After enjoying a Full Irish Breakfast (the famous Ulster Fry) at your leisure, you will join the Belfast Hop On-Hop Off tour which not only explores the city centre but also the Titanic Quarter (see the original dock where the doomed liner was built). We also visit the Titanic Visitor Centre (admission included) and you can see the last surviving White Star Line Ship "The Nomadic". You will also see the murals of the Falls and Shankill Roads with plenty of free time for shopping and exploring. Your rail tour of Ireland concludes today. Click here to view testimonials for The Titanic Trail and Wild Atlantic Way. Everything was very organized and easy. Hotels were very nice and located close to where we wanted to be. 28th April 2019 $2,098 Please call for availability. 30th April 2019 $2,098 Please call for availability. 1st May 2019 $2,098 Please call for availability. 3rd May 2019 $2,098 Please call for availability. 5th May 2019 $2,098 Please call for availability. Enter your details below if you would like to be notified when 2020 dates and prices are available for The Titanic Trail and Wild Atlantic Way. *Due to an early start on Day 1 of the tour, a pre-tour hotel night in Dublin is strongly recommended. Vacations By Rail can arrange for a pre-tour hotel upon request. Prices are land-only, per person based on double occupancy. Prices are correct at the time of this web page going live; however are subject to confirmation at time of booking. Pricing is in USD based on currency exchange from Euro on 2/16/2019. Prices are correct at the time of this web page going live; however are subject to confirmation at time of booking.